Thank you for your interest in custom visuals for Excel! We want developers to bring the same great enthusiasm to data visualization in Excel that you brought to Power BI! The custom visuals feature is currently in preview*. We want developers to start testing their existing Power BI visuals in Excel, writing new visuals to work in both Power BI and Excel, and give us feedback on the overall experience. We’ll continue to build on the capabilities, user and developer experiences, and documentation as we ready custom visuals for all Office 365 users. Getting a head start now means your visual will be ready for users when custom visuals becomes generally available and means you can help shape how we expand the feature. Signed up as an Office Insider (not Monthly Channel). 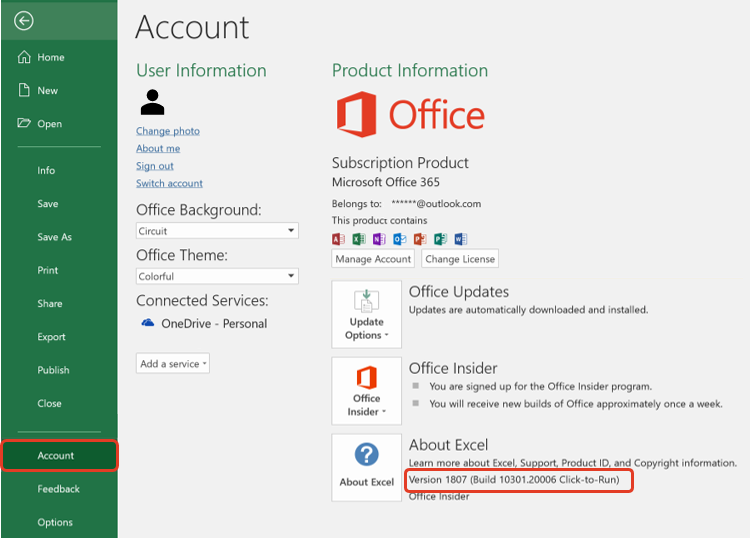 Learn more about the Office Insider Program, including how to join the program, by visiting this site. *There is no general availability date to share at this time.